If you have a YouTube channel, getting more subscribers and increasing the number of views you get on your videos is probably a goal of yours. However, since there are millions of channels on YouTube.com, it can be hard to grow your channel when you’re first starting out. This is because other channels with more subscribers are more likely to get views over a video by someone with a small number of subscribers. Want to get more views and grow your channel? We’re here to help! We have 10 tips for ways to promote your channel and gain subscribers. Before we start telling you the steps to promoting your channel, we’ll explain a few reasons why this is a great idea. Get more views – sharing your videos outside of YouTube will get you more views, which can in turn, get you more subscribers as well! 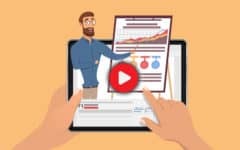 Make more money from ad revenue – getting more views means more ads will play on your videos, and you will make more money. 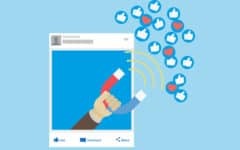 Gain followers on social media – increasing your following on YouTube may result in you getting more followers on your other social media accounts if you decide to share your social handles in your YouTube videos. Get opportunities outside of YouTube – if your channel gets popular enough, or someone in your industry catches wind of your videos, you may be offered opportunities outside of YouTube to work with other people and brands. These are some of the benefits you’ll notice after promoting your YouTube channel. Ready to get started? 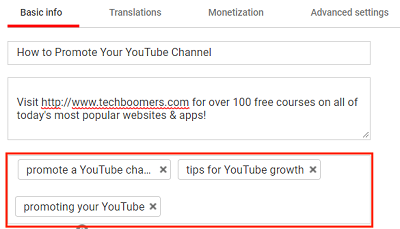 Read our tips for YouTube channel growth next! Post a link to your YouTube channel and/or your videos on your social media accounts like Facebook, Twitter, and Instagram. 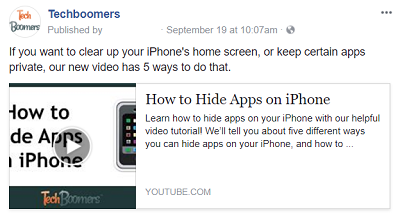 Learn how to share YouTube videos to Facebook with our tutorial here. You can even put the link in the bio of your social profiles so it’s always there for your followers to click on if they want to. Why it will help you: Encourages people who already know you to check out your YouTube channel. Within your videos, be sure to say out loud that you’d love if your viewers would “like” your video by clicking on the thumbs up button and to subscribe to your channel to help them keep up with all your future posts. The buttons can be found right below the video player window. Getting likes on your videos tells YouTube that your viewers are enjoying your content, which can make it appear higher up on search result pages and make it more likely to be recommended to other YouTube users. Having more people subscribe to your channel is also great because it grows the number of loyal viewers that will want to keep coming back to your channel for new content. Why it will help you: This can increase the number of views on your videos. Learn more about YouTube keywords and how to apply them with this helpful video by Derral Eves. Why it will help you: This makes your videos easier to find in a YouTube search. Posting videos to your channel on the same day(s) each week and at the same time will help your viewers to know when to come back for new content. 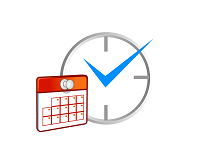 Posting regularly also helps with keeping your channel updated with new content all the time. People are more likely to subscribe when they see that you’re consistently posting new videos – it gives them a reason to come back over and over. Why it will help you: Your fans will always know when you’ll be back with new videos. 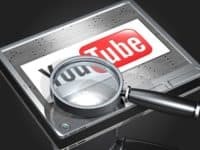 We found an article from Entrepreneur.com that is full of great information about the best days and times for posting YouTube videos to maximize the number of views you’ll get. One of the most important parts of having a successful YouTube channel is simply getting people to click on your videos. 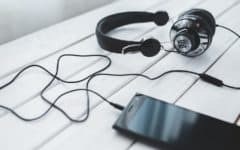 If your titles sound boring or your thumbnail images don’t grab people’s attention, you may not get as many clicks, which in turn means less views. Try changing up how you title your videos and switch up the design of your thumbnails. Entice people to click on your videos by making them stand out among the crowd. Make any text on your thumbnails large enough that it’s easy to read, and use bold colors to draw people’s eyes to the image. Write original titles that will make people want to click on your video instead of someone else’s about the same topic. 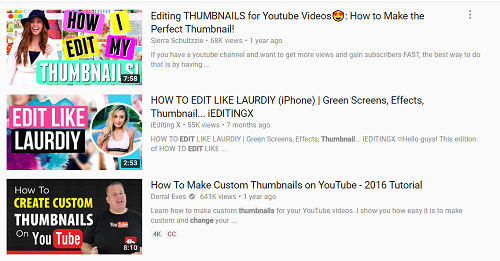 If you’re interested in learning more, check out this guide to creating the best YouTube thumbnails to get more clicks. 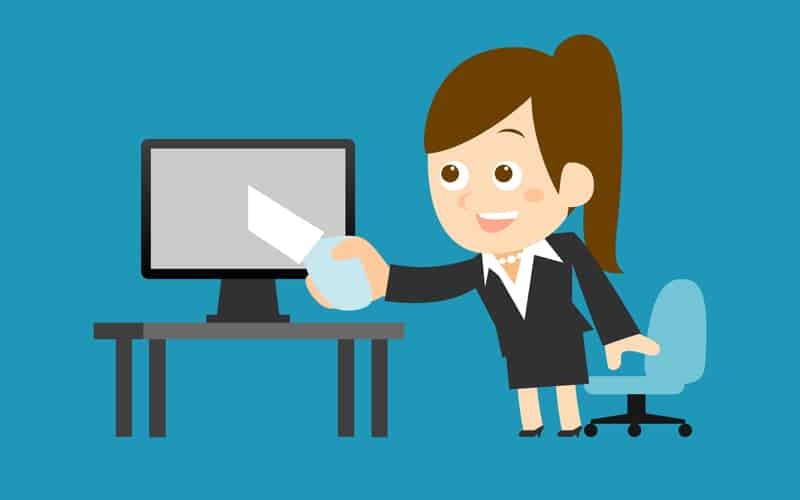 Why it will help you: Get more views by enticing people to click on your videos. 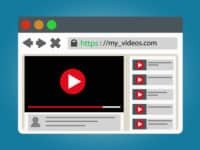 YouTube has a handy feature that allows you to easily add links at the end of your video to have your viewers subscribe to your channel, direct them to your website, or link to another one of your videos so they can keep enjoying your content. Add a plain background or your logo at the end of your video so you have a good space to add clickable end card links in the last 20 seconds of the video. YouTube explains more about end cards and how to add them here. Why it will help you: Keep people watching your content and encourage them to subscribe. When people comment on your videos, try to always respond to as many of the comments as you can. Interacting with your viewers by replying to their comments and thanking them for watching. You can even do live video streams to answer your viewers’ questions. When you have a high level of engagement with your viewers, YouTube is more likely to push your videos higher up in search results. Why it will help you: Make your viewers feel like you care about them, and build a friendly community amongst your viewership. YouTube makes it super easy for people to advertise their own channel on the YouTube site. 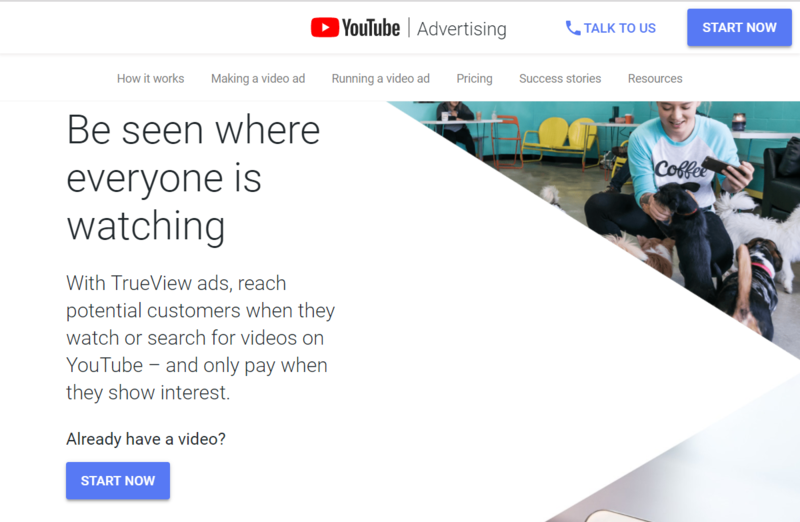 You can pay to run a campaign of advertisements with TrueView ads. Create a short video (about 30 seconds) about your channel that can play before other videos people watch on YouTube. It costs about $10 per day to advertise your channel locally – read more about YouTube ad pricing here. 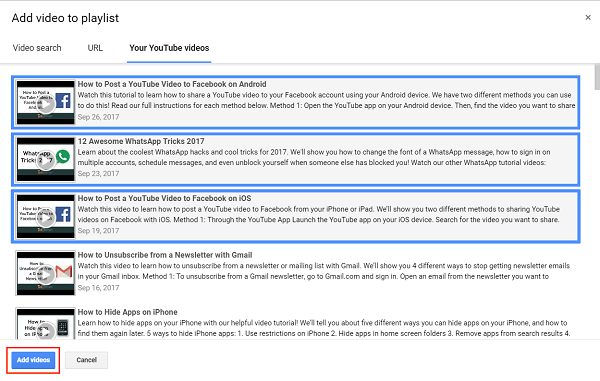 Read more on YouTube ad campaigns and how to start your own with this tutorial from YouTube themselves. Why it will help you: Help more people discover your channel that might otherwise never see it. Another way to get your name out there on YouTube is to work on collaborative projects with other YouTube channels. If you have any friends or connections you’ve made through YouTube or know someone else with a YouTube channel, consider making a video with them or featuring your content on each other’s channels. You may have some of that channel’s subscribers come over to your channel, and vice versa. YouTube has some tips for YouTubers who want to collaborate with other channels. You can learn about them from the YouTube Creator Academy. 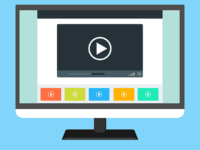 Why it will help you: Gain exposure to another channel’s subscriber base. Our last tip for promoting your channel to get more views and subscribers is to make categorized playlists of the videos on your channel. 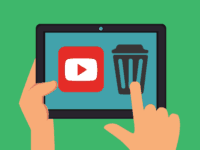 If one of your viewers happens to click on one of your playlists rather than an individual video, they’re more likely to keep watching your other content instead of clicking away afterwards and watching someone else’s video. 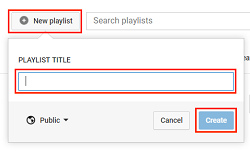 Learn how to make a playlist on YouTube with our tutorial. Why it will help you: Keeps your viewers watching more of your videos. To make a playlist on YouTube, click on your profile icon in the top right. 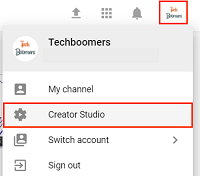 Then, select Creator Studio from the menu that appears below. Next, click Video Manager. Then select Playlists. On the next screen, click New Playlist. Give your playlist a name, then click Create. 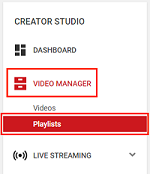 Now you can put your videos into your new playlist. Click Add Videos to begin. Select the videos you’d like to have in the playlist. Click on a video to select it. When you’ve selected all the videos you want to add, click Add Videos. 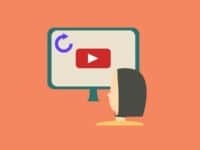 Those are the best ways to promote your YouTube channel if you want to get more views and subscribers – and who doesn’t want to grow their channel? 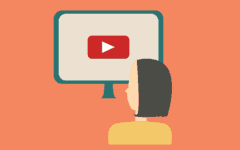 To learn more about YouTube and how to use the site to the fullest, check out our YouTube course. 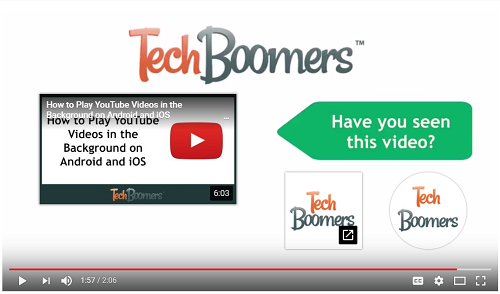 If you’re looking for new channels to watch, head over to the Techboomers YouTube channel.